Luminous pile with irresistible chenille-like texture makes this hand-tufted Ocean Collection area rug deeply inviting. Its rich, black onyx tones bring out the beautiful pebbled effect with subtle waves of shadow and light. 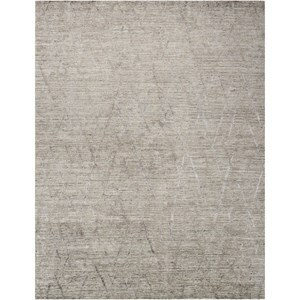 Versatile and ultra-appealing, this special rug brings a soft element of comfort into your favorite room. The Ocean 7'9"X9'9" Onyx Rectangle Rug by Nourison at Home Collections Furniture in the Denver, Aurora, Parker, Highlands Ranch, Castle Rock, CO area. Product availability may vary. Contact us for the most current availability on this product. Browse other items in the Ocean collection from Home Collections Furniture in the Denver, Aurora, Parker, Highlands Ranch, Castle Rock, CO area.